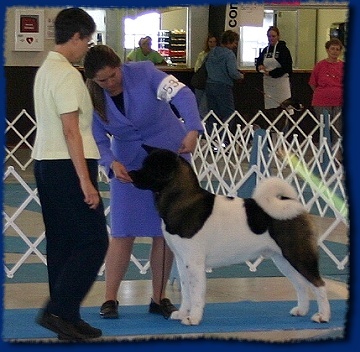 Under Mr. Larry Kereluke & Mr. Robert Forsyth!!! 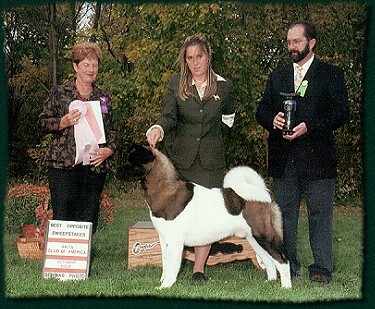 Odin has been incredible from the day I laid eyes on him at 8 weeks. 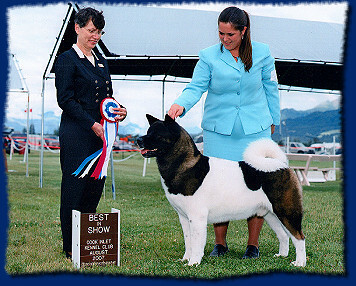 He has a body to die for, flawless movement with his grandsire's side gait and has apparently inherited his genes to be one hell of a show dog! 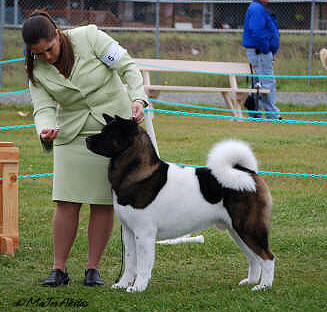 Odin is now a All-Breed Best In Show winner, Multiple Best In Specialty Show winner and Multiple Group Winning, placing and Award of Merit winner... all done Owner-Handled by the age of 4yrs old. 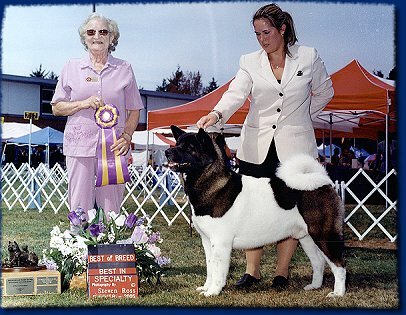 As you can see he is now just coming into his Prime adult age and we expect that there are many more GREAT things to come... it is a blessing to have him in our lives and a true gift to be at the end of his lead; it will be cherished in my heart forever! 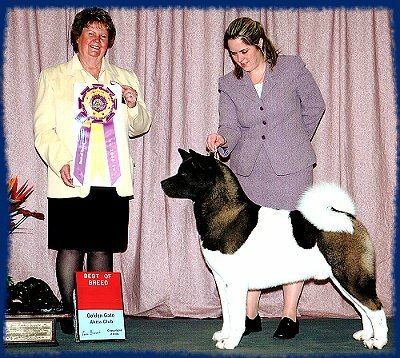 Odin has exceeded all of our wildest dreams and them some!! 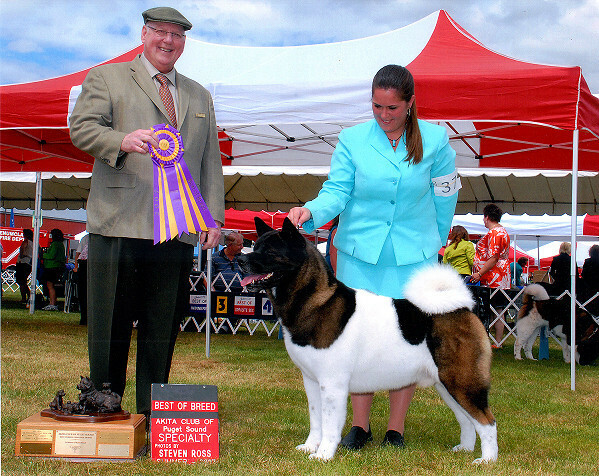 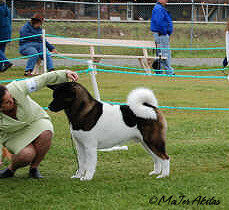 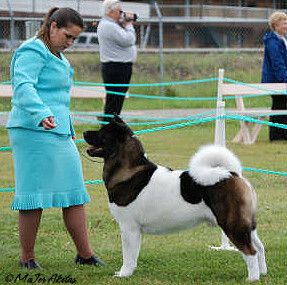 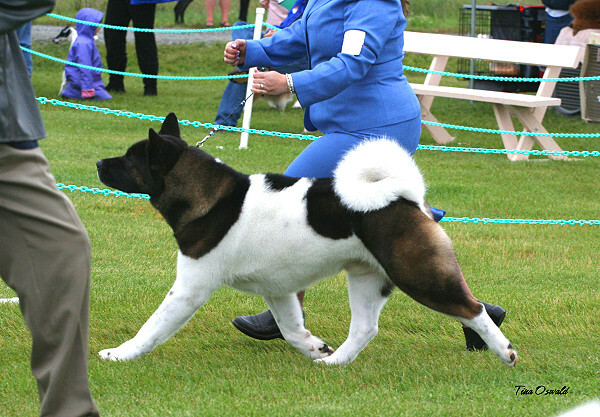 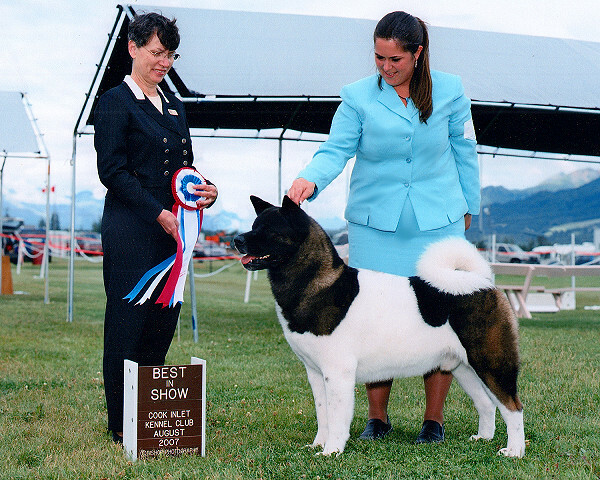 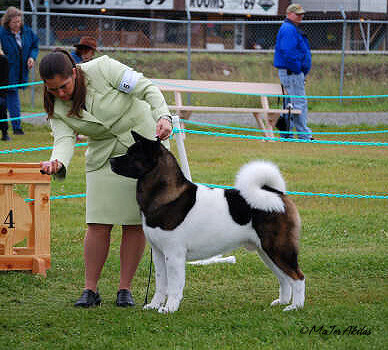 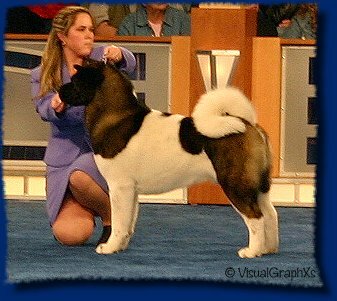 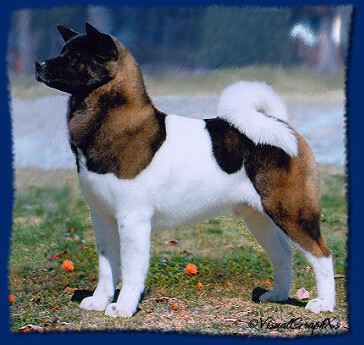 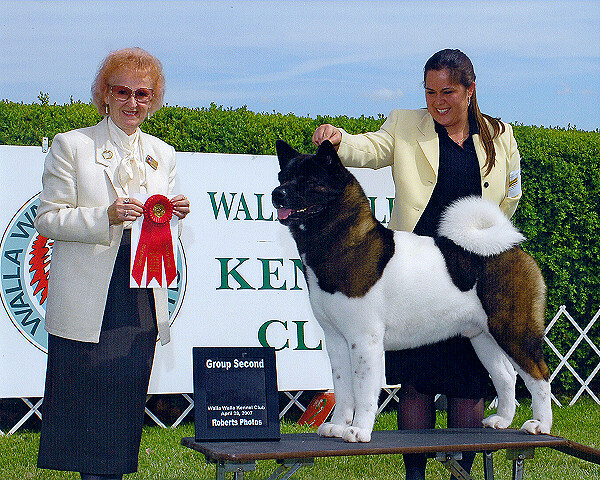 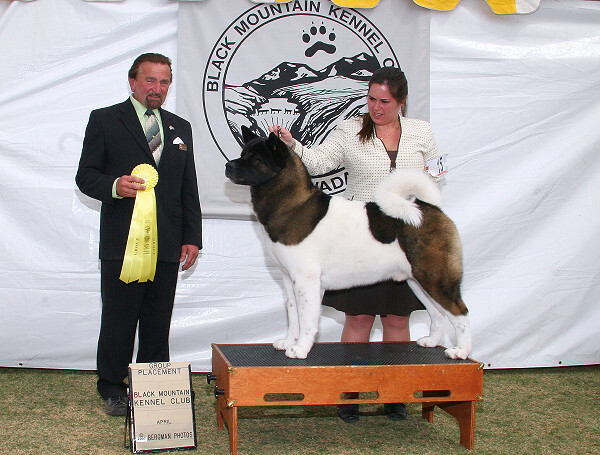 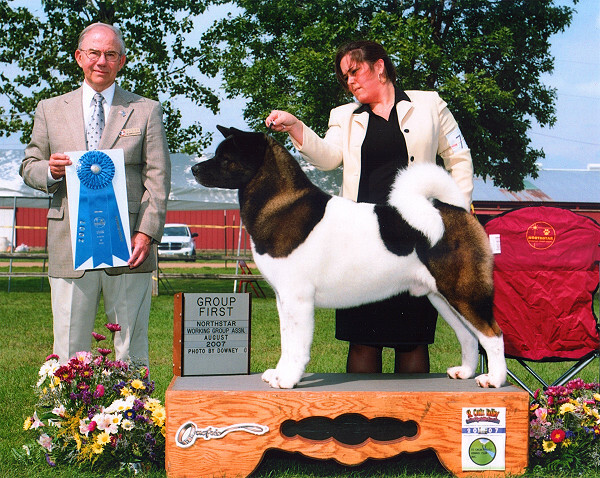 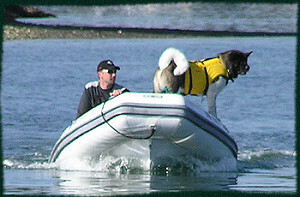 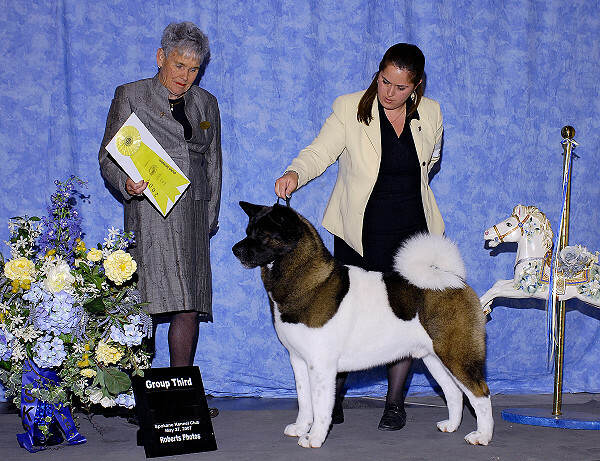 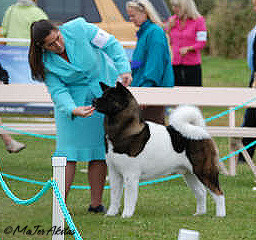 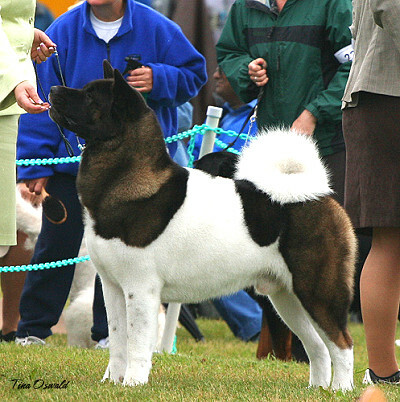 He is the grandson of the Top Winning Akita Dog in Breed history (Jagger) and carries a solid pedigree full of the greats; with ROM's and producers of ROM's. 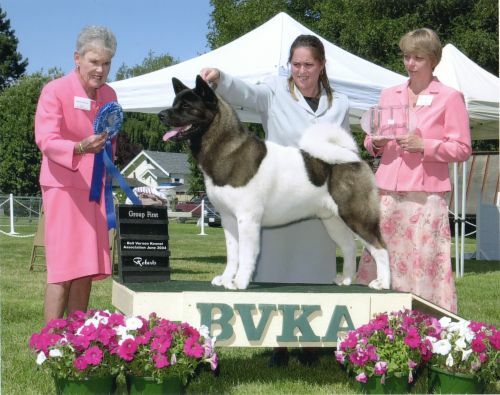 It is evident that Odin has received the great qualities that his ancestors possessed. 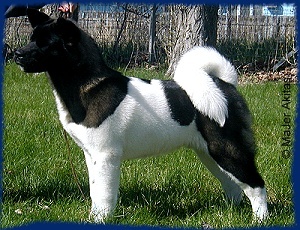 Odin is a young beautiful Cowboy son making him half-brother to our Price, Chief, Ranger, Markie and Hula. 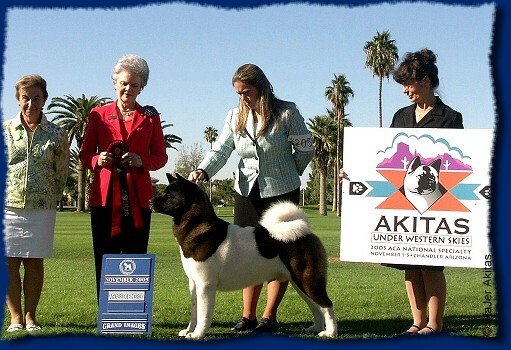 Odin's mother is our very own Scout's litter sister Niji bred by Crown Royal Akitas. 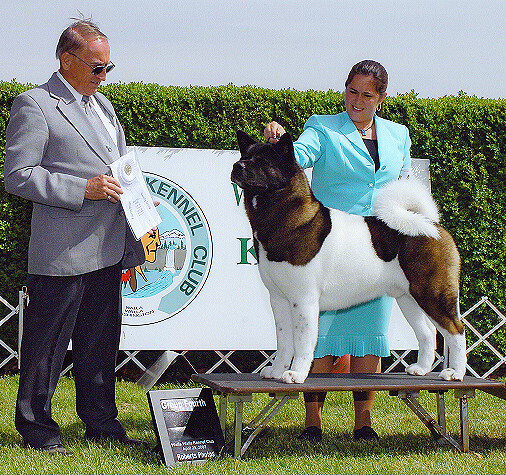 Odin is owned, raised, conditioned and loved by our dear friend Kirsten and Shawn Whitcomb.